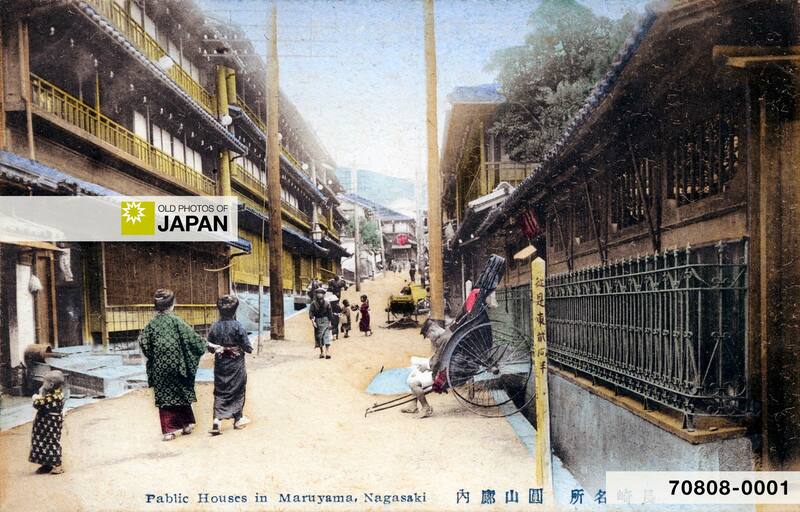 Another view of the brothels in Nagasaki’s Maruyama and Yoriai prostitute quarters. At the height of the area’s popularity, Maruyama and neighboring Yoriai counted no less than 54 brothels with 766 prostitutes. 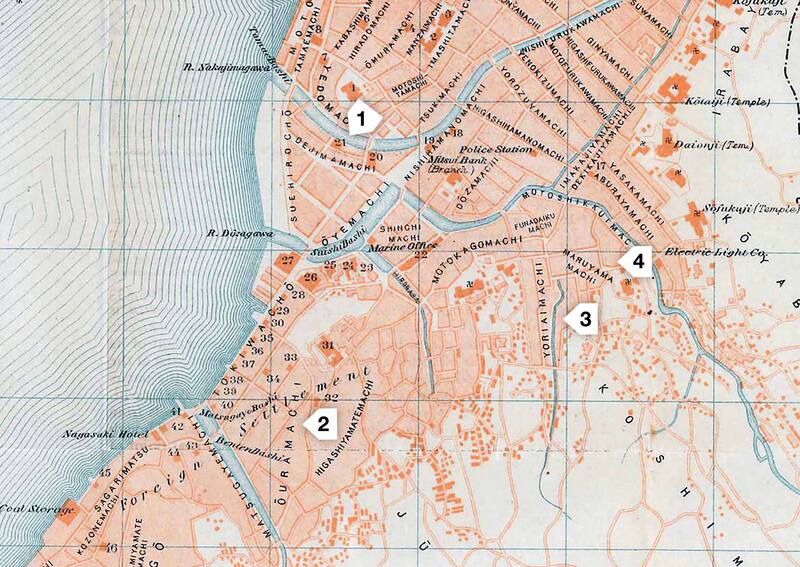 For more information and an earlier view of the area, see Nagasaki 1890s • Maruyama Brothels. You can also licence this image online: 70808-0001 @ MeijiShowa.com.